Werner's Cairns blog: Start your day with a lemon. Start your day with a lemon. Well, I do - that is with a with a glass of filtered fluoride free water and the juice of half a lemon; followed some time later with toast and avocado. This puts my body and stomach in a good alkalised "mood." There is an old adage: “If you have lemons make lemonade.” But lemons have many uses, and what many people don’t know is how good they are for our health. Nutritionally, the lemon constitutes on of nature’s seven top sources of potassium, a mineral that promotes clear thinking, aids in normalizing blood pressure, and works with sodium to regulate the body’s water balance. Lemons are also nature’s tops sources of citric acid, a life essential found in the cells of all living creatures. Lemons are an especially good tonic and act as cleansers when toxicity exists in the liver, kidneys, bowels, lungs, or skin. Lemons also provide modest amounts of non-dairy calcium for healthy bones and teeth, magnesium, an aid in forming albumen in the blood, plus enzymes, iron, phosphorus, and copper. Fresh lemon juice has only 4 calories a tablespoon and just a trace of sodium. More importantly, just a single tablespoon of lemon juice provides one tenth of your daily requirement for vitamin C. The lemon is one of nature’s five best sources of ascorbic acid and lemon juice also prevents berries from greying in the jam making process. It is a well documented fact that an acidic body is a magnet for sickness, disease, cancer and aging. Eating more alkaline foods helps shift your body's pH and oxygenates your system. Alkaline foods keep your body healthy and functioning correctly, preventing cancer. Below is an interesting article, by Dr. David Jockers which hopefully may help you to better health. As a keen veggie gardener I know of the importance of knowing the pH component of my garden soil, however, I never thought that it is equally important to know the alkaline/acidity level in my body. That meat, pasta and sugar are highly acidic surprises me. How do you know if you have the right ph balance? This is easy to determine. 1. If you have a sour facial expression, like you have just bitten into a lemon, then your body is too acidic. 2. If you smile all the time, you have the right alkaline balance. :-) Of course, I was just joking! Start your day with water and lemon. 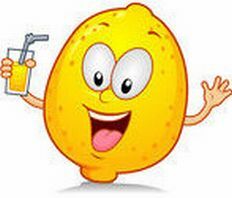 Clean water and fresh squeezed lemon is one of the most well tested energy boosters around. Most people in America rely on caffeinated beverages like coffee to get aroused in the morning. These adrenal stimulants produce dirty energy in the form of blood sugar swings and oxidative stress. Water with lemon produces clean energy by hydrating and oxygenating the body to extraordinary energy and mental clarity. After sleeping through the night the bodily tissues are dehydrated and need clean, pure water to filter out toxins and improve energy production in the cells. Most individuals turn to stimulants like coffee in the morning to give them a jump start. Unfortunately, coffee is a diuretic that depletes your body of water reserves and essential minerals and electrolytes like sodium, potassium, calcium & magnesium. People feel energized by coffee due to the effects of caffeine on the adrenal glands. Coffee stimulates these organs to pump out instant energy hormones epinephrine and norepinephrine. These hormones stimulate the body to breakdown stored sugar and release it into the bloodstream. This process causes abnormal blood sugar that increases oxidative stress, free radical formation and overall tissue damage. This is called dirty energy because it produces a rampant amount of damage to the body in order to activate energy formation. Clean energy produces cellular energy without an excessive load of oxidative stress. The food and beverages we eat provide electrically charged molecules that initiate energy production in our body. An ion is part of a molecule that carries an electrical charge. Positively charged ions are called "cations," while negatively charged ions are called "anions." Most of the food we put into our bodies comes in a cationic form, while our natural digestive processes (hydrochloric acid, digestive enzymes, saliva) are anionic. Lemon is one of the only anionic foods on the planet. This means that it carries a very strong negative charge and is extremely electrically active. Fresh lemon helps oxygenate the body and maximizes enzyme function. Lemon is known to stimulate the liver's natural enzymes. This assists the liver in the process of dumping toxins like uric acid and of liquefying congested bile ducts. Citric Acid Cleanses the System. Citric acid can also play a very important role in chelating out abnormal calcium stones. It has a unique ability to form soluble complexes with calcium that many have used to eliminate pancreatic stones and kidney stones. This mechanism can also help prevent calcium deposits from building up in the arteries that promote cardiovascular disease. Clean water with lemon provides the body with hydration, anti-oxidants and electrolytes. Lemon is a rich source of the immune boosting vitamin C. It also has good quantities of electrolytes such as potassium, calcium and magnesium. Lemon is a tremendous source of citrus bioflavonoid anti-oxidant phytonutrients that have been given the label Vitamin P.
Vitamin P consists of the flavonoid glycosides hesperetin and naringenin among others. Studies have shown that vitamin P enhances the anti-oxidant capability of vitamin C. These bioflavonoids also improve capillary permeability and overall blood flow. This is especially important for oxygenating tissues and maintaining normal blood pressure. These anti-oxidants have also been shown to reduce swelling, venous backup and oedema. Upon rising take 1 full lemon and squeeze it into 16-32 oz of fresh clean water and drink. Be sure to eat out the membranous parts of the lemon where the majority of the pectin fibre and citrus bioflavonoids are located. Stevia can be added to form sugar-free lemonade. Apple cider vinegar and various herbs can be used to boost enzymatic and anti-oxidant potential. If you want to make a comment read annotation below first! Well that may be YOUR morning routine, but most prefer a more healthy and sensible approach. Toast and avocado? Yuck. I prefer at least one, and usually two, Maccas sausage and egg McMuffins. Eggs are terrific protein, a few carbs in the morning to get the blood sugar levels up, and meat fat is one of the essential food groups. I usually wash it all down with a big glass of tap water, to ensure my teeth are healthy and strong. Can't get too much of that fluoride - and I get down on my knees after breakfast and thank Val & Anna for their finally getting Queensland into the 20th century! Bryan Outlaw, seeing what you eat, and drinking fluoridated water; it doesn’t surprise me that you wrote your comment the way you did. It is obvious to me that your brain has already been calcified (because of fluoride intake) and your brain is clearly dysfunctional. Poor sod. You are beyond help and lemon water. I am not inclined to reply to foolish comments, I just say that I agree with Lara Lemon; she put her description of Bryan Law’s comment in a nutshell. That's true Bryan Outlaw - Eggs are terrific protein, not so sure on your meat fat being an essential food group though, and to be honest I'm not real sure how much real meat and real meat fat is even in a maccas sausage! lol And you don't want your blood sugar bouncing around all over the place so if you want carbs in the morning much better to have some from wholegrains and not highly processed ones that have had all there goodness processed out of them.....AND if your smart with what you eat you won't need fluoride to protect your teeth. Your body is a very highly evolved and self efficient system that doesn't need fluoride to protect the teeth - it just needs you to eat your natural diet! Surely Bryan Outlaw's comment is intended to be ironic, isn't it??? If not, he really HAS had too much fluoride! People need to keep each other honest in order to walk in health and joyful peace...no? The above comments comments add up to a good exchange between well meaning people which serves to refresh our "festive-memories" and try to feed our bodies to achieve well being of mind and body. The above comments add up to a good exchange between well meaning people which serves to refresh our "festive-memories" and try to feed our bodies to achieve well being of mind and body. Thank You everyone.